When you are outside you are exposed to UV radiation. UVA rays: penetrate most deeply into the skin and provide a nice tan, but also cause premature skin aging. UVB rays: penetrate less deeply into the skin, but are responsible for burning your skin. 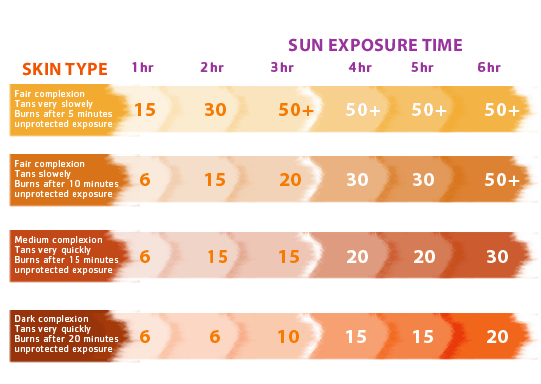 Both types of UV–radiation play a role in the development of skin cancer in the long-term . Therefore, proper sun protection is necessary. Not only when you go out sunbathing, but also if you stay outside longer on a sunny day. Lubricate your skin generously half an hour before going into the sun. This contributes to the protection. Apply regularly, especially after swimming, sweating or towelling. Choose a SPF that suits your skin type. When in doubt, choose a higher factor instead of low! Avoid the sun during the hottest part of the day (between 12:00h and 15:00h). Keep babies and young children out of direct sunlight and use sunprotection with a high SPF. Do not stay too long in the sun, even if you use sunprotection.